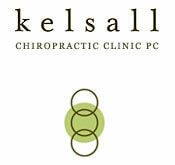 16% off all supplements, pillows, new patient appointments! *16%* off all supplements and medical supplies through October 16th. This includes pillows, physio balls, foam rollers, lumbar supports, Melt (hand/foot) ball kits, etc. A free 60 minute massage gift certificate to the first *16* people who refer a new patient (ie; family or friend) to the clinic before October 16th. *16%* off all new patient initial office visits (includes exam and treatment) scheduled before October 16th.